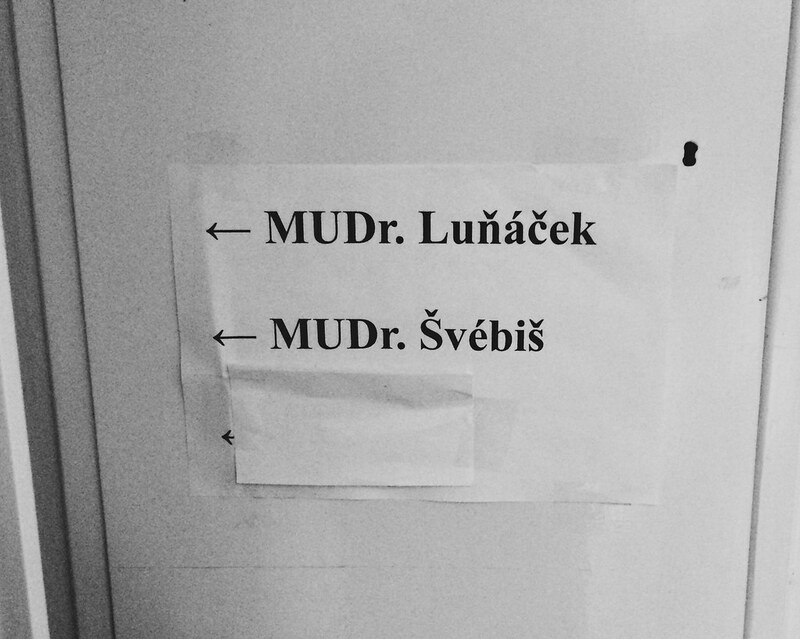 After much prodding on behalf of my teammates, I finally saw a doctor for the first time in the Czech Republic. When you can barely talk, that’s usually a sign you need to see someone about your health. The doctor I saw today was fantastic and he speaks great English which makes the entire process just a lot easier, not to mention lifting the burden of trying to find someone to come with me an explain the situation in another language. He asked where I was from and when I told him California he started to share how he visited the San Francisco area two years where his uncle lives. He was actually asking me because he was curious if the weather in Czech was affecting my health and there’s definitely some truth to that. But after a few minutes of discussion and listening to me breathe the doctor was sure I have an infection, probably a sinus infection. He graciously prescribed some antibiotics and I left with a smile. It’ll probably take a week to clear up but I look forward to getting my real voice back and feeling better. Tonight started our mini getaway with some of the Josiah Venture family. Every year Josiah Venture puts on a Thanksgiving event for the missionaries and we’re invited to stay at the training center (in Czech), have meals together, and just enjoy the holiday together. Since everyone is away from their families in the States, it’s an opportunity for the JV family to be together and give God thanks for all we have and what He’s doing in our lives. Bethany made her family’s famous green bean casserole and some deviled eggs and other families brought their own traditional family dishes. I’m excited about the meals tomorrow and hopefully getting some time to rest and take a break. We’ll be here until Friday morning, so hopefully I can get some photos of where we’re staying and what we’re doing when the sun comes up tomorrow. The weather is supposed to be cold but sunny so we praise the Lord for that too!